Join Nicolette Camille and Jardine Hansen as they combine forces in this two-day intensive in Sydney, Australia. 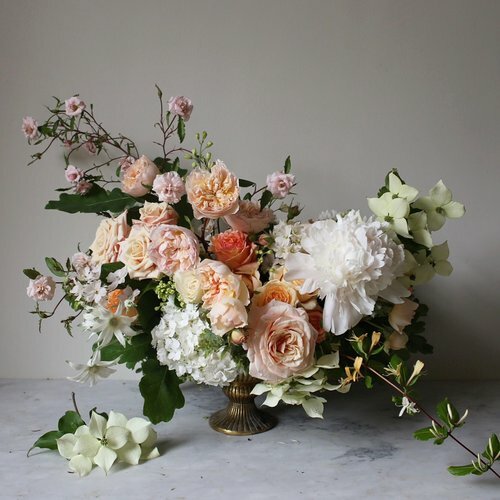 Designed for both enthusiastic beginners and seasoned florists, this two-day program will guide students through Nicolette and Jardine's technical and creative approach to create lush, effusive bouquets and arrangements that are indicative of their garden inspired styles. We will star the workshop with the art of the natural centerpiece. Pulling from an opulent selection of the most beautiful flowers of the Autumn season, students will spend time creating loose, rambling compositions that are evocative of the season without the use floral foam. Emphasis will be placed on building gestural compositions that focus just as much on the negative space as the more densely layered flowers. Leading with demonstrations, we'll impart all our tips for navigating the intricacies of bouquet-making; how best to honor each stem's role within the collective without making the bouquet heavy or overly dense. We will also cover technical skills such as form, taping and ribbon-ing, along with boutonniere-making. Nicolette and Jardine will offer insight into the ins and outs of the industry, imparting wisdom learned through their own successes, failures, happy accidents, and the combined decades of experience between them. 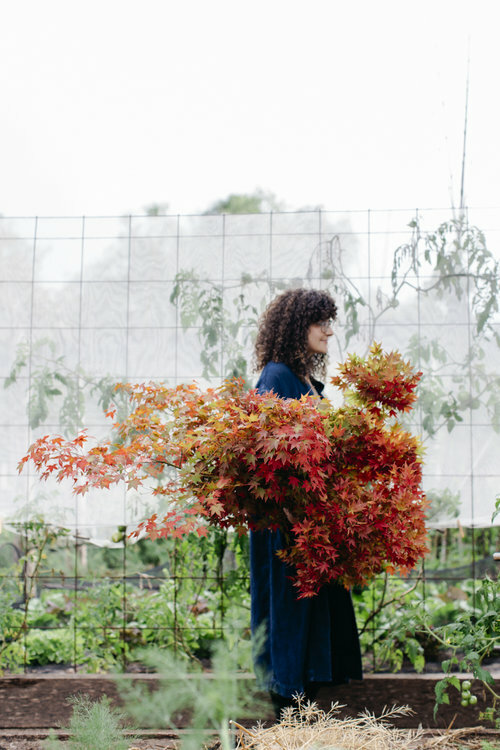 The wondrous photographer Luisa Brimble will be there to capture imagery of all student creations-- this class is perfect for those looking to start or refine their floral portfolio. All materials will be provided. Students will receive their own set of professional shears to use during class and to take home as a gift. A light-lunch and snacks will be served each day to sustain our creativity.